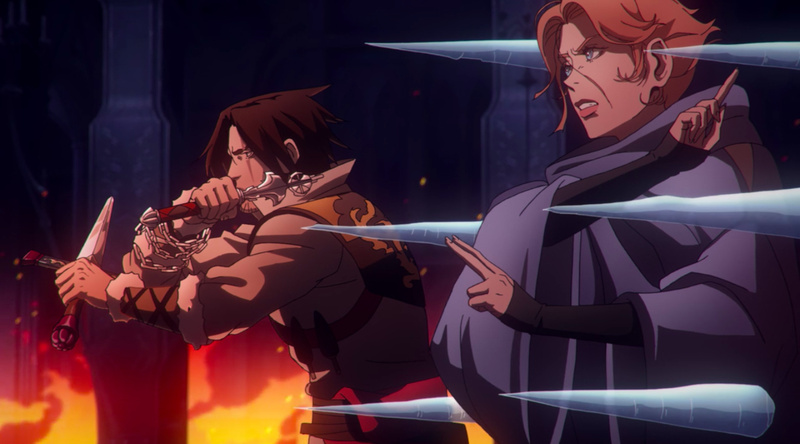 The first series of Netflix's gore-soaked and expletive-packed Castlevania adaptation went down a treat, as you'll know if you read our exhaustive review. While it was a little on the short side, it did an utterly superb job of setting the scene and fleshing out the main characters: the troubled anti-hero Trevor Belmont (The Hobbit's Richard Armitage), the brattish and grumpy half-vampire Alucard (James Callis from Battlestar Galactica) and the plucky but determined Sypha Belnades (Alejandra Reynoso of Winx Club fame) – three individuals thrown together by fate to meet the impending threat of Dracula (Graham McTavish from Outlander), the lord of all vampires who, following a brief period of peace encouraged by his human wife (and Alucard's mother, Lisa), has gone mad with vengeance after his aforementioned bride is murdered by members of the Church. The shortness of series one was mitigated by the news that it had been commissioned for a second, longer series, which goes live on Netflix today. 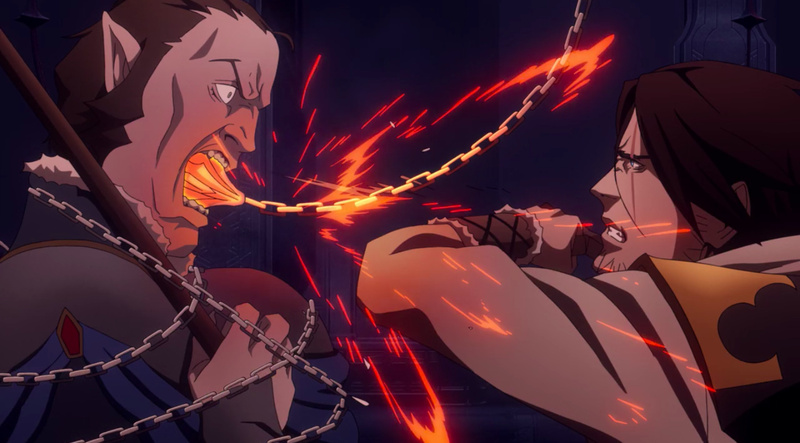 Comprised of 8 episodes that are around 30 minutes in lengths each (give or take), this sophomore season packs in a lot more plot, action and characters than its predecessor, while allowing the existing cast far more room to breathe and evolve. 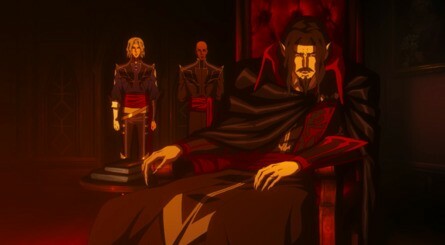 Alucard and Dracula – both of whom were given a criminally small amount of screen time in series one – are regulars this time around and that's a definite plus; McTavish in particular really gets his chance to shine here, imbuing the tortured Count with a deep sense of humanity (ironic, you might say) which is only hinted at in Castlevania: Symphony of the Night. Torn between his late wife's wish to heal the world through science and his boiling, near-uncontrollable hatred of the humans who put her to death, he's a real bag of emotions throughout, yet still finds time to deliver some of the wittiest lines in the whole production. 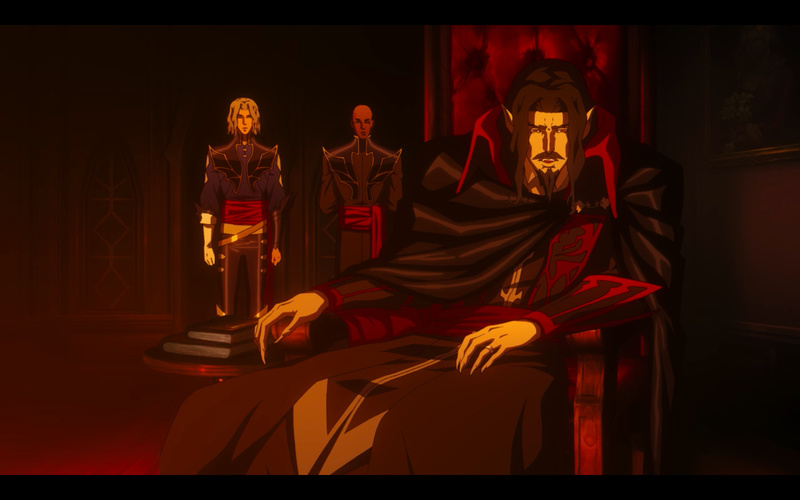 The series kicks off with Dracula meeting with his council of war in order to determine the best course of action following his unexpected defeat at the close of the previous season. He assembles his vampire generals from around the world – including the comical Viking Godbrand, voiced with relish by Peter Stormare (Fargo), and Castlevania series regular Carmilla, played by Jamie Murray (Dexter) – and broods within his fortress, his desire for revenge the only thing driving him forward. 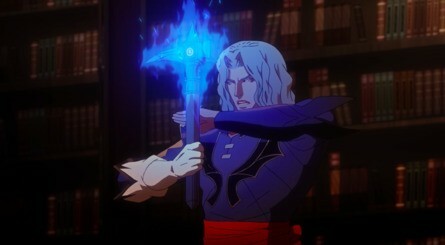 However, by far the most interesting additions to the cast are the Devil Forgemasters Hector and Issac, both of whom originally appeared in the PlayStation 2 and Xbox title Castlevania: Curse of Darkness, which means that this new group of episodes borrows not only from Castlevania III, but also from another entry in Konami's long-running franchise. 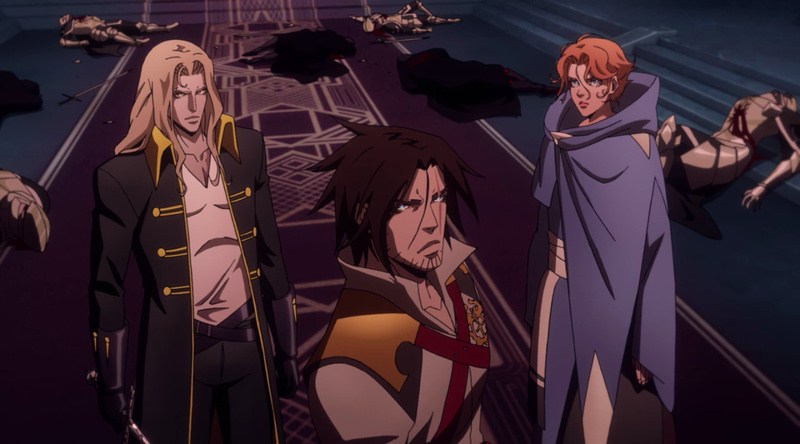 Curse of Darkness is set at the same time as the third NES outing and Trevor Belmont actually appears in it, so it makes sense to include Hector and Issac in the story. Hector – voiced by Toby James (The Divergent Saga) – looks very much like he did in the 2005 PlayStation game, while Isaac (Adetokumboh M'Cormack) sports an altogether different look and backstory; he's a former slave whose ill-treatment has convinced him that love simply does not exist in this world. Both of these characters are human rather than undead, but they hold a coveted position in Dracula's army thanks to their ability to reanimate corpses and turn them into troops to swell Vlad's undead ranks. We won't spoil the individual character arcs for the pair, but suffice to say, the story takes some interesting twists and turns – and the addition of Hector and Isaac is perfectly natural, rather than tacked-on. 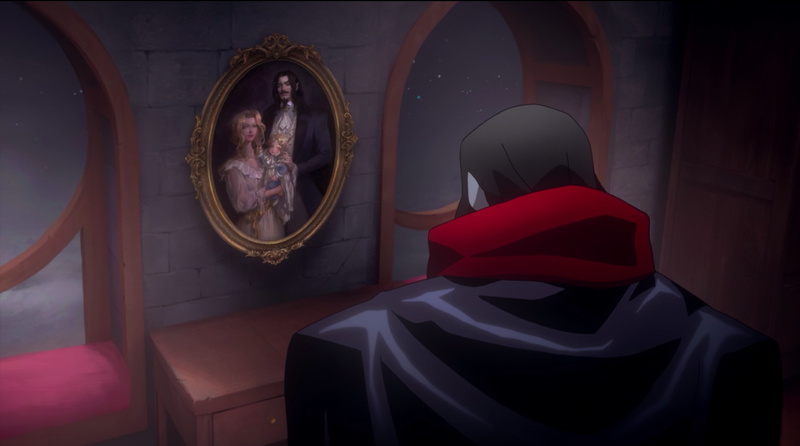 It truly feels like they were made to be part of the Castlevania's story's wider narrative – which wasn't always the case when playing Curse of Darkness, it has to be said. 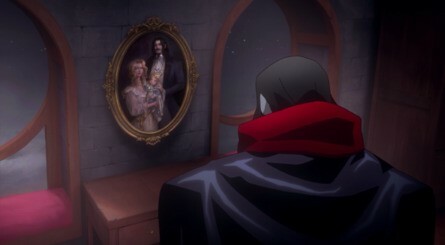 Dracula's plan to wipe humanity from the face of the earth is thrown into disarray when his authority is challenged, but a more pressing concern for him is the knowledge that his son and a member of the Belmont family – long considered extinct – are conspiring against him; our three heroes spend a large portion of the series exploring Trevor's family home in hope of finding secrets or weapons they can utilise against the Count. Because of this need to put all of the pieces in the right place at the right time, the middle section of the season does sag ever so slightly, but it more than atones for this by the time you hit episode 6. 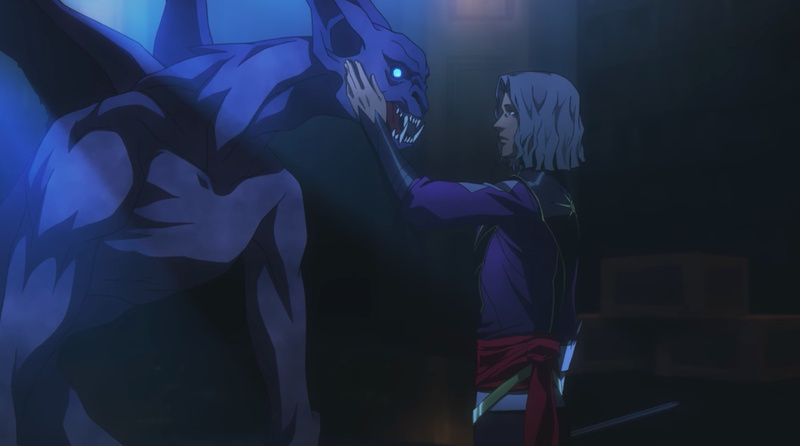 From this point on, the series builds to an incredible climax; a payoff that will more than pacify those who complained about the conclusion of the opening season. 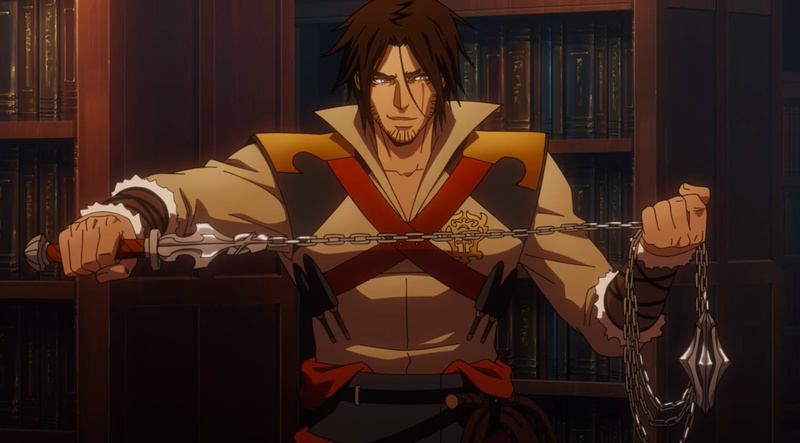 Netflix's Castlevania is dripping with fantastic dialogue. Legendary comic book scribe Warren Ellis returns to pen the script, and we honestly lost count of the sheer number of incredible lines on offer. There's also plenty of swearing (again) and lots of welcome humour; Ellis shows once more than he understands these characters perfectly; their motivations, their desires and their regrets. 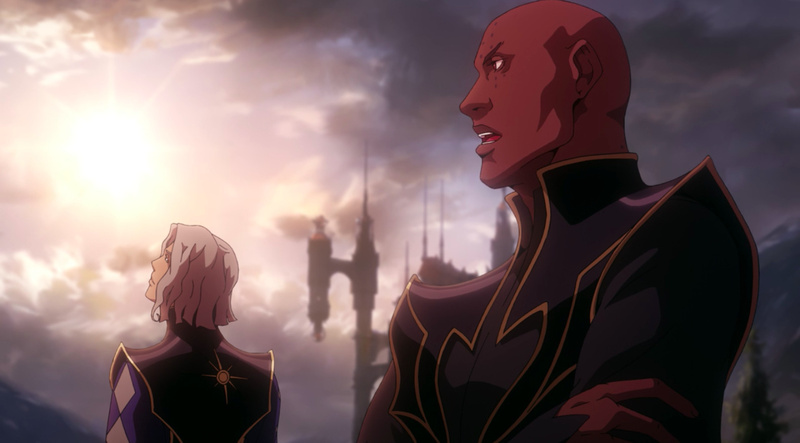 At a time when Hollywood and other media makers seem to totally miss the point when it comes to adapting video games for film, TV or animation, it's refreshing to see a production which is so clearly invested in – and respective to – its source material. 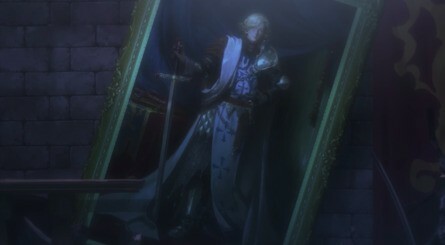 There are even references to other games in the series; a portrait of Lament of Innocence's Leon Belmont hangs in the family home, and Trevor goes on to discuss this important ancestor in a conversation about his lineage. 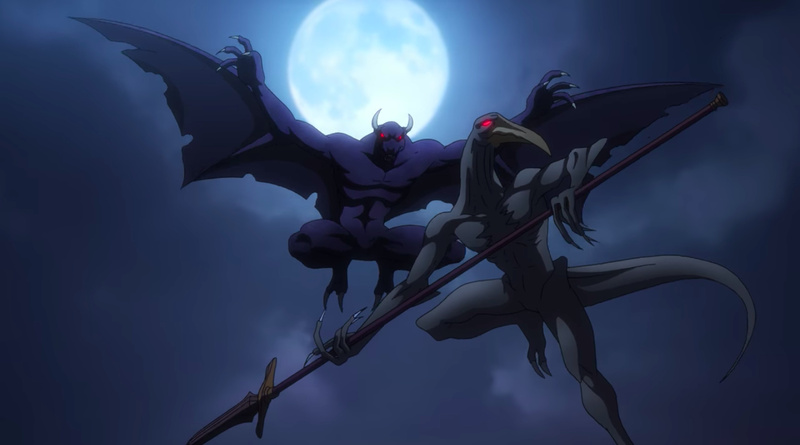 In another scene, Slogra and Gaibon – a pair of monsters seen in Symphony of the Night – fight Alucard, and there are numerous other visual callbacks to the games, such as the items which are found in the Belmont's underground vault. Ironically, the highlight of the entire series – for us, at least – comes from Trevor Morris' soundtrack, which we were rather critical of in our review of season one. Morris has dramatically upped his game here, and his original compositions are more memorable and effective. However, it's during an epic battle in episode 7 that Morris really outdoes himself, adapting the iconic 'Bloody Tears' theme from the video games in such a wonderful manner than we genuinely rose from our seats and punched the air – no word of a lie. Considering Morris ignored Castlevania's rich selection of music in series one, it's brilliant to see him use one of its most famous tunes so superbly in this second season. We can't be sure, but we think we also heard hints of other famous tunes elsewhere, proof that Morris has really done his homework this time around. Unfortunately, there are still some niggles to discuss. As was the case in the previous series, there are episodes where the animation becomes almost unforgivably choppy; while it never ruins your enjoyment it does rob some sequences of their impact. Thankfully, this isn't a common problem and there are certain scenes which boast beautifully smooth animation – the titanic encounter which takes place right at the end of episode 7 springs to mind, as it not only looks amazing but also tugs on the old heartstrings at the same time. Some viewers may also take issue with the level of gore on display, despite the mature nature of the subject matter, but that's very much down to personal preference. Needless to say, this may be animation but it's not for kids. Netflix has already confirmed that series three is in production and will launch next year, which may come as a surprise when you get to the end of episode 7, which appears to wrap up the whole story. 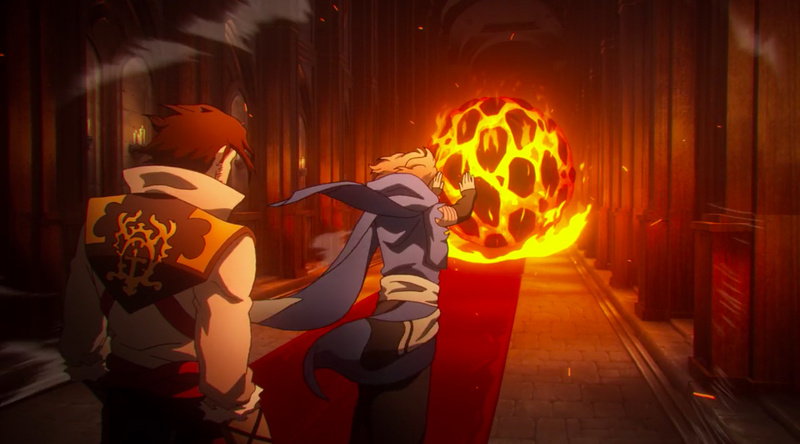 However, Hector and Isaac's tale is arguably only just beginning, and we assume the Forgemasters will become the key focus on the next group of episodes. They're excellent, well-written and impeccably-portrayed characters, so we truly relish seeing their tales expanded. Despite some minor niggles then, series two of Castlevania is perhaps better than we ever expected, which is really saying something when you consider how much we enjoyed the first season. It's so rare to see a video game property transition to an entirely different medium with this level of skill and faithfulness, and the only real negative here is the wait until the third season in 2019. Both seasons of Castlevania are available to watch on Netflix now. I am so looking forward to this! I loved Season 1 and have been thirsty for more! Only watched the first two episodes of season 2 so far it's amazing! 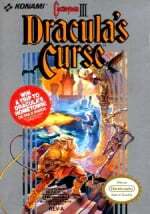 @Damo Wasn't Curse of Darkness a Playstation 2 game rather than Playstation? Woah, since when do we review TV shows here? Is this a new thing or have I just missed them all? @ReaderRagfish We review pretty much everything related to the world of Nintendo, there are no hard and fast rules. Can't wait to watch this after work! Netflix haven't tweeted to say this has gone live. Poor from them. Oooh, I liked season one. I think I need to rewatch the last episode before watching season 2 for a refresher. Glad to hear it's eight 30 minute episodes, the first season was four 22 minute episodes and besides being so few and so short it really bothered me that it felt like one 90 minute movie, not 4 independent episodes, so hopefully the 30 minute length let's this feels like a series and not a movie broken up into 4 parts. Not sure when I'll watch it, I'm behind on new fall shoes already, but hopefully within the next couple of weeks. After rewatching series 1 in one shot. The Elder Spawn and I have been eagerly waiting for this. Tonight... we feast!! Now Nintendo and Netflix has to make a deal. @nessisonett Curse of Darkness was ps2 and xbox game. Lament of Innocence was ps2 exclusive. I'm excited about this since I really liked season 1. I know what I'm binging this weekend. Right after I finish Daredevil. I'll likely go ahead and watch it from the very beginning just to get the whole essence of it all. Anybody not wanting to spend 90 minutes to watch season 1 Netflix has a 2 minute video that highlights everything you need to know going into season 2. I'm looking forward to giving this a watch. It says no spoilers and then goes on to do exactly that, I had to stop reading. Just finished the season and it was epic. The best part was the Bloody Tears segment!!! Will Simon ever be in the show? Vampire Killer is seriously missing. 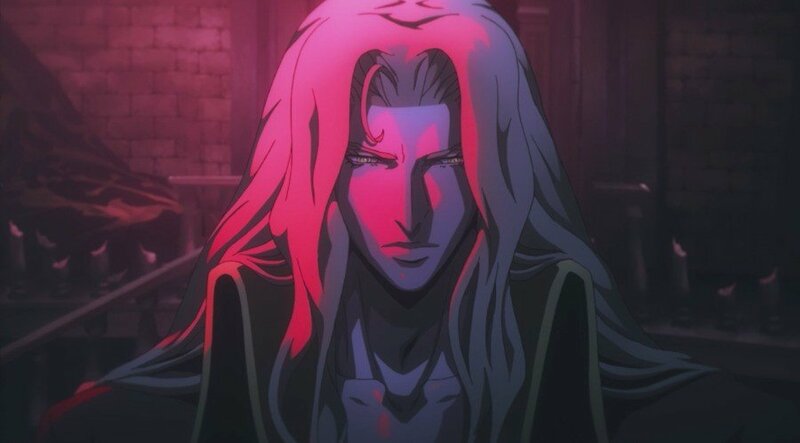 After finishing the season, I admit I felt the same about the scene with Bloody Tears, but overall I was left a bit underwhelmed. I loved the character development, but it dragged until the climax, and I found the action lacking a bit. 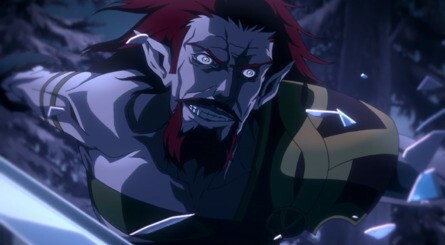 Even Dracula seemed a bit of a pushover. There's more to come with the series clearly, and I'm interested to see where it goes, but I didn't come away with the same level of excitement I felt after the first four episodes. 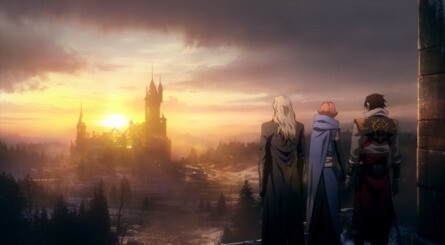 Season 1 had me on the edge of my seat, enjoying every precious second, and dreading the fact that it was about to end. Season 2.... I think I'm still processing it. 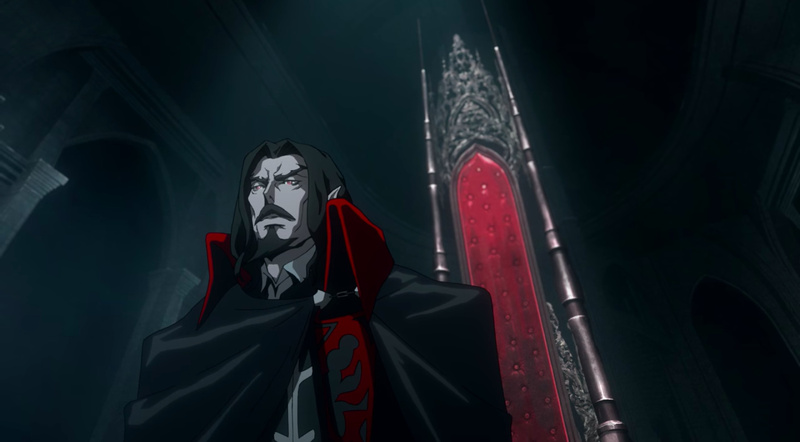 I was definitely frustrated with all the vampire politics taking place while the heroes spent so much time in the Belmont basement. Everything was well done (including improvements in the music like Mr. McFerran mentioned). And while I actually own and have beaten Curse of Darkness (multiple times), I just couldn't enjoy the addition of Isaac and Hector. Their stories just didn't click with me. Especially in the context of deep castle intrigue. With all the politicking and lobbying, I felt like I was watching Un-Dead C-Span for a while. I think I'm sounding harsher than I'm intending to. I still enjoyed these segments somewhat... However, I believe a second viewing will iron out some of my reservations. 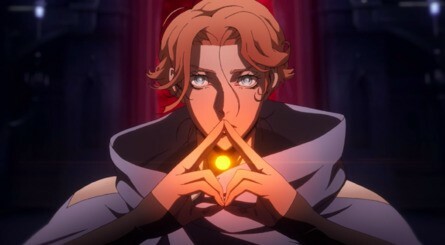 Especially knowing what to look forward to in episodes 6 and 7 (simply amazing). Maybe Isaac and Hector's stories will intrigue me more with another go. 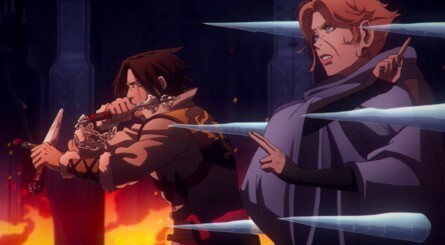 As a lifelong Castlevania fan (we named our second son Simon for a reason!) I'm very excited to be living in a time where new Castlevania content (be it TV shows, re-released games, or Vania-inspired kickstarted games) are happening. This season actually inspired me to hook up my old PS2 and fire up both Lament of Innocence and Curse of Darkness. The soundtracks of these games are simply breathtaking. Thanks for the wonderful review Nintendolife. Season 2 was brutal and really well done. The part where Bloody Tears plays was pure awesomeness. I hope they release that ost soon! It was great. Up to season 3!